Are you looking for a watch repair service in Highlands Ranch, CO? If so, make sure that you thoroughly read this informational guide. There are some things in life you just can’t avoid and getting your watch serviced is one of them. Whether it’s a vintage watch or a modern chronograph, there will come a time when you’ll have to take it for repairs. If it’s a brand-new watch, that can be a slap in the face (or the wrist) and if it’s a vintage watch, you’ve probably expected the worse to come eventually. But before you throw in the towel, try to find the light at the end of the tunnel. Your watch is after all, a chronograph and a machine. It doesn’t matter what the brand or model is, just like every piece of machinery, there will be certain problems. The most common types of watches are the ones powered by quartz. They’re affordable and popular with both men and women. But when they stop working, you know it’s because of one thing: the battery. It either wears out or gets damaged easily. But luckily, batteries are replaceable. All you must do is find the right watch repairman and get it replaced immediately. But if the problem isn’t the battery, it could be the buttons and the dials. This usually happens because of dirt and dust accumulating inside the watch. For this, we recommend taking it to a proper watch repair service. Don’t attempt to clean it on your own as you could damage the watch irrevocably. Remember that watches are chronographs that have tiny parts and in order to make sure these parts function properly, you’ll need to take it to a watch repairman. The main problem with mechanical watches is that they have more parts and these parts are tiny. If one part goes missing, the whole watch will stop working. Therefore, trying to fix things on your own is an absolute “no”. How do you know if your mechanical watch needs repairs? Well, for one, you’ll notice that it’s slowing down. The dial/hands won’t work properly. The main reason why mechanical watches stop working is because they’re not serviced from time to time. You need to treat your watch like a car. Get it serviced every now and then to ensure that it keeps working. Some watches—mainly luxury watches like Rolex and Omega—only need to be serviced once every two years. But if you have a regular mechanical watch, you’ll need to get it checked by a professional every 6 months or so. A full service is the only way to ensure your watch keeps functioning. And if you opt for a full service, make sure to have an open discussion with the repair service. Are they going to dismantle the watch and clean it thoroughly from the inside? Or are they just going to fix the buttons on the side to ensure the hands don’t stop working? You need to ask all these questions before agreeing to a full service. When it comes to watch repairs, make sure you don’t take your watch to just about anyone in Highlands Ranch, CO. You need to take it to someone who’s a pro at what they do. Make sure to look up Google reviews for the best watch repair services in Highlands Ranch, CO before you make your decision. This is where Matheu’s Fine Watches & Jewelry comes in. Matheu’s Fine Watches & Jewelry has been providing quality products and professional services as a Family Owned and Operated business to the metropolitan Denver, CO area since 1951. Matheu’s Fine Watches & Jewelry was the very first watch repair and service facility ever opened in Colorado. Dan Matheu, a Certified Master Watchmaker, pioneered the watch repair and services business in Colorado. Today, Scott Matheu, his son, now operates Matheu’s Fine Watches & Jewelry. Scott Matheu had a vision to open a watch store in Highlands Ranch, CO fifteen years ago. His vision has led Matheu’s Fine Watches & Jewelry to not only be the largest watch repair and service facility in the Denver Metropolitan area but also the entire state of Colorado! Whether you are in need of watch repair in Highlands Ranch, CO, watch engraving, or even if you have an antique watch that you would like appraised, you can count on Matheu’s Fine Watches & Jewelry to provide you with superior service each and every time. All of our watchmakers are factory trained and CW21 Certified by the American Watchmakers and Clockmakers Institute (AWCI). This certification has the most stringent standards for watchmakers performing repair, restoration, and service work on watches. With the largest service centers in the metropolitan Denver, CO area we are not only able to provide watch repair in Highlands Ranch, CO but to the entire 50 states as well. 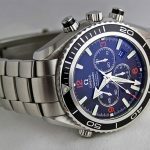 Matheu’s Fine Watches & Jewelry is also a factory authorized service center for Hamilton, Tag Heuer, Breitling, Tissot, Oris and many more brands. When you use Matheu’s Fine Watches & Jewelry for your watch repair in Highlands Ranch, CO, you can rest assured knowing that we have the latest authorized equipment and technology to service your timepiece and you will also receive our (2) two-year warranty on major watch repairs that we provide. If you are considering getting your valuable timepiece repaired or restored, because of our CW21 Certification, you can be confident that Matheu’s Fine Watches & Jewelry will provide you with the highest quality level of watch repair and service. Our CW21 Certification ensures that we possess the superior skills and knowledge for servicing quality watches.